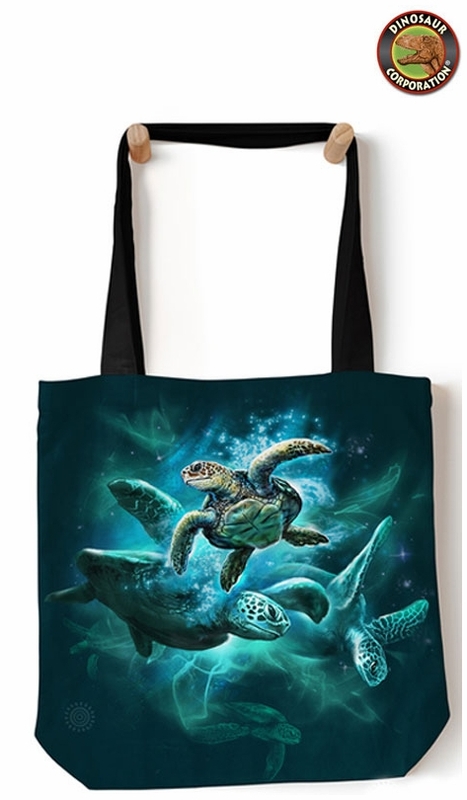 We have a large selection of Sea Turtle Tote Bags at Dinosaur Corporation! You will find top quality crafted tote bags of sea turtles hand-sewn in America. The spun polyester material is lightweight yet durable, and unlike other totes, we print the design on both sides of the bag. We double-stitch all the seams and stress points for added durability. * Three sizes: 13� x 13� & 16" x 16" & 18" x 18".